This Tudor half pint Pewter Tankard makes a perfect gift. For an additional cost, the tankard may be supplied in a gift box. 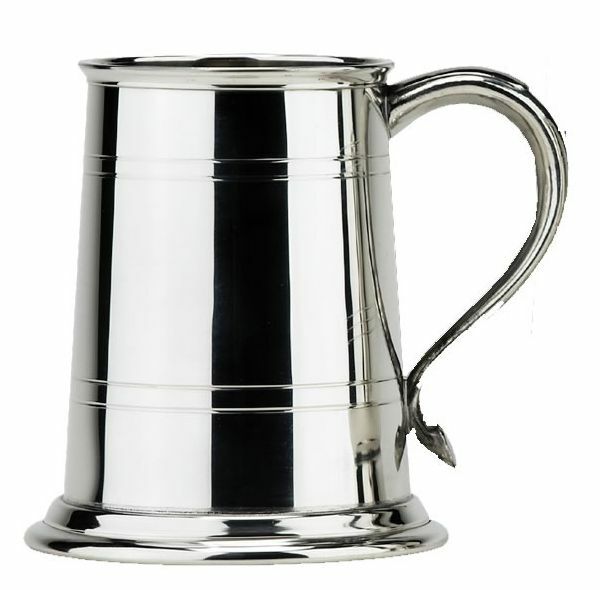 Up to 50 letters engraving is included in price of the pewter tankard. Additional letters charged at 15p/letter. The postage rate for this personalised Half Pint Pewter Tankard is Band B. Unfortunately this tankard has been discontinued by our supplier and is no longer available.